Whether your business is a high-tech enterprise or a local cafe, the issue of cyber security is relevant to your operations. It’s a digital age where information is being accessed by hackers and malicious parties can snoop on communications. From protecting internal files to encrypting financial transfers and securing electronic communications, let’s look at the importance of cyber security and potential fallout from a security breach. As Forbes Magazine points out, “It’s more likely that you will get hacked than you won’t.” While this presents a bleak outlook, the article explains that cybersecurity is a spectrum of cost versus risk. Based on the specifics of your business, you can assess which digital assets are your most valuable and most vulnerable. Then you can triage your cybersecurity investment to address the critical points first. Because digital threats are inevitable, it’s important to develop systems and infrastructure to respond appropriately. Just as a doctor wouldn’t treat a papercut the same as open heart surgery, so too must digital security be classified on a spectrum. For example, the White House has a scale of cyber security threat levels that ranges from Level 0 to Level 5. In order for a political organization (or a business) to generate the appropriate response, it’s critical to identify the severity of the security event. Ranging from a low impact to an imminent threat, company standards such as these provide a baseline so that you’re not treating a metaphorical papercut with undue panic, and vice versa — you’re not downplaying or ignoring a severe breach. Depending on both the severity of the breach and the digital asset that was compromised, we see a range of business fallouts. In response to a breach of email communications, as was the case at Yahoo when 1.5 billion accounts were compromised, the company risked losing its $4.8 billion acquisition by Verizon. It’s been reported that prior to the cyber attack, the security team was denied financial resources. A lack of investment in security, despite the recommendations by the experts, may have helped the company’s balance sheet look better at the time, but in the long run, it was detrimental to the company’s service and reputation. Similarly, in the recent Equifax breach, the malicious access of information on 145 million Americans could have been prevented if the company heeded the warnings. Six months prior to the breach, an independent researcher found a major security vulnerability that exposed personal information. The vulnerability was reported in December, but it wasn’t until June that the company implemented the 5-minute fix. For many companies, the best way to asses digital vulnerabilities is to run a technology assessment. By hiring an expert, you’ll be able to get a realistic look at what your security vulnerabilities are, and what it would take to fix them. While some vulnerabilities may take big bucks to secure, there are many low cost ways to make significant improvements to your company’s digital security. For example, the simple task of updating your software closes security loopholes and prevents access to your systems. Similarly, maybe you need to implement a password change policy for your staff or mandate two-factor authentication. 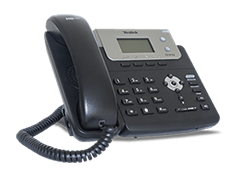 Or you might need to switch to communications services with high-encryption protocols like the end-to-end telephone encryption available on Ooma Telo, which secures all calls made between Ooma accounts. 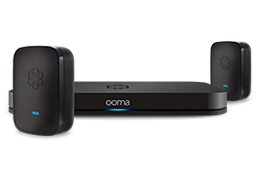 With Ooma’s internet security protocols, your network is fortified with additional protection against hackers. All of your devices are protected against websites and links that contain viruses, spyware, malware, phishing schemes, or other threats. Additionally, you can customize your security protection by using 93 categories of content filters and customized domain blacklisting. Your customers and clients will trust your company only to the extent that you are willing to protect your network and their digital assets. No company wants to face a PR nightmare like what happened to Sony when its internal emails about movie star salaries made headline news. Following a technology assessment, take reasonable steps to protect your company against cybersecurity threats, balancing the cost with the assumed risk. I didn’t realize that cyber security was so important for businesses. It makes sense that they would want to be able stop any sort of cyber attacks! They can really take a toll on a business. Cyber security is very important for every company. Because data is very important. We need to protect our data over the internet. For this I think cyber security can helps a lot on this time. Thanks for sharing such a informative post. Thanks for bringing to my attention that there are different levels of cyber security threats. My friend is wanting to start a business, and I don’t think he knows much about cyber security. Maybe it would be best for him to hire a professional to keep his company and information safe.